Covectra, founded in 2008 by Dr. David Bear, has been developing serialization-based solutions for track & trace as well as combatting drug abuse, product diversion, and counterfeiting. Serialization is the application of serial numbers onto the packages of a product in the form of a barcode or data matrix or a human-readable alphanumeric. The company has expanded its services from pharmaceutical companies into food and beverage, tobacco, luxury goods, fashion, and electronics. They have processed over 2 billion serial numbers for global brand owners in 8 countries and 4 continents. Covectra has grown and expanded into six distinct vertical markets. The client realized that it was time to embrace marketing and brand building through a new, updated website. They wanted to attract larger clients and needed to present a more polished, professional image to web visitors. The client wanted their three key product lines to be displayed on their website in a way that shows their distinct qualities and uses, while also communicating how they work together. Covectra has a wealth of information they wanted to include on their website in an easy-to-navigate manner that wouldn’t overwhelm the web reader. This information included case studies, testimonials, media coverage, blog articles, and white papers. 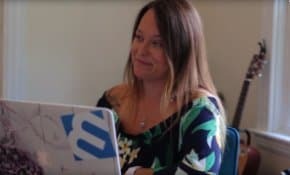 The website visitor was likely to be under high pressure to research and purchase serialization and needed concise information on how Covectra can solve their compliance issues. The content needed to explain serialization and its benefits to different industries in a way that would resonate with each of them. 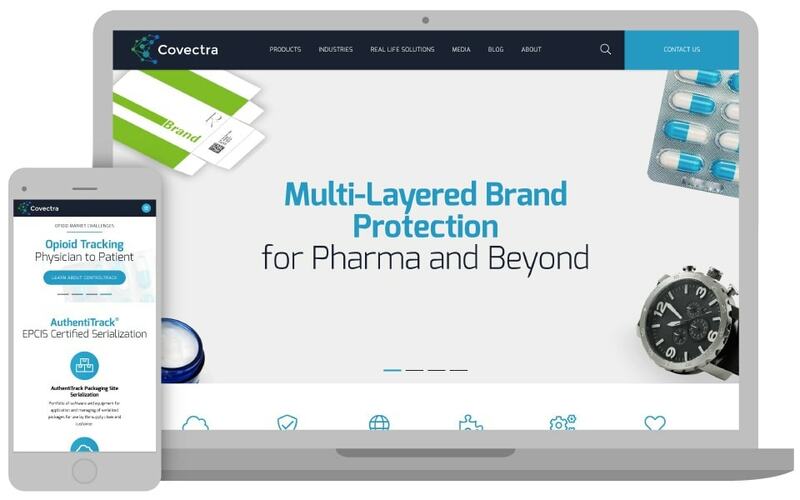 3 Media Web created a new website that uses bright and engaging images with animated text that immediately upon entering the Home page, conveys the vertical markets in which Covectra provides serialization solutions. The new company tagline: “Multi-layered Brand Protection for Pharma and Beyond” supports the company’s growth into industries in addition to pharmaceutical. The Covectra website content was rewritten to explain the brand protection, marketing, and financial benefits of serialization to visitors from different industries. The client’s vertical markets are further explained in the Industry section which features a vibrant image and short description with a “Read More” link to additional information. The Real Life Solutions section is a collection of case studies that gives an example of a recent project in one of the industries in which Covectra does business. The Media tab houses comprehensive information that supports the company’s leadership in serialization solutions worldwide. This section features white papers, compliance updates, press releases, and events. Combining all this helpful information in one area keeps the website clean and easy to navigate and brings web visitors to the information they need quickly and efficiently. 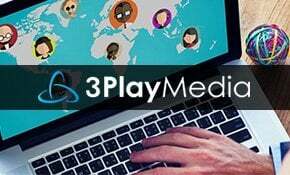 3 Media Web developed a website that delivers the polished, professional image Covectra wanted and meets the client’s goal of being able to attract larger prospective clients by supporting Covectra’s market position as the worldwide leader in serialization.